A New York bankruptcy judge recently handed a stunning victory to a bank group represented by Herrick by denying a debtor permission to use cash collateral immediately after it commenced its case. This unusual decision provides insight to lenders on how to protect their secured positions during a Chapter 11 case. Upon filing a Chapter 11 case, a debtor typically seeks to use cash collateral, which includes cash, securities, deposit accounts and cash equivalents that the debtor pledged as security to its lender. Sometimes, a debtor is able to reach an agreement with the secured lender on terms and conditions of the debtor's use of cash collateral. If the debtor and secured creditor are unable to reach agreement, the debtor must seek authorization from the bankruptcy court. In most cases, bankruptcy courts are loathe to deny a debtor's initial use of cash collateral. Such use is often critical to the debtor's continued operation, and bankruptcy courts are usually inclined, at the beginning of a case, to afford a debtor a fair amount of time to rehabilitate its business. To use cash collateral, a debtor must demonstrate that the secured creditor's interest in the collateral is adequately protected. This means that the secured creditor is protected against diminution in value of the collateral while the automatic stay is in effect. The most common methods of adequately protecting a secured creditor's interest are periodic cash payments, granting additional or replacement liens in the debtor's assets, or by establishing that the secured creditor is protected by a significant equity cushion. In this case, the debtor, a publicly-held company that manufactured and distributed high precision mechanical components, owed the bank group approximately $11.5 million. The debt was secured by a first priority lien on substantially all of the debtor's assets. Upon filing its case, the debtor made an emergency application to use approximately $1,000,000 of the bank group's cash collateral during the first 30 days of the Chapter 11 filing. The debtor claimed it had a long-term plan to consolidate its operations to one location that would significantly reduce its overhead costs and produce profits within six months of the filing date. The debtor acknowledged in its income projections that it would lose over $145,000 in the first 30 days of the case, but promised to make periodic cash payments as adequate protection for the bank group. The debtor did not dispute that the bank group was undersecured by over $5,000,000. 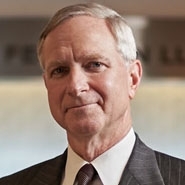 Through cross-examination of the debtor's president and chief operating officer, Herrick demonstrated that the debtor's sales had severely declined, the debtor had significantly understated the costs of administering its bankruptcy case, and that the debtor had suffered an operating loss of more than $800,000 in the preceding year. Herrick also elicited an admission from the debtor that its losses would have been even greater had it not used approximately $1.5 million from tax refunds it had received that year. The bankruptcy court concluded that the debtor's use of cash collateral would impair the bank group's secured position and the debtor could not adequately protect the lender from further loss. The court was swayed largely because the debtor recently suffered a significant operating loss even though it utilized $1.5 million of tax refunds. Moreover, the court doubted the viability and accuracy of the debtor's income projections, based upon the debtor's operating history. As a result, the debtor was forced to liquidate by selling its assets under the bankruptcy court's supervision. It appears that the proceeds of these sales, which remain ongoing and should be complete within six months, will surpass the banks' liquidation estimates. What Can a Lender Do? It is extremely difficult, but not impossible, for a lender to block a debtor's motion to use cash collateral at the outset of the case. A lender may determine that its best interests would be served by a debtor's limited use of cash collateral. But if the lender believes that continued use of cash collateral will harm its secured position, it should scrutinize carefully the debtor's projections and their underlying assumptions, review the debtor's historical results, consider any extraordinary events, and analyze the amount of the debt as opposed to the value of the collateral. A well-planned opposition may block the motion--despite the pro-debtor environment of the bankruptcy court.